A critical view of new media, new technology and new marketing. A Google search on the direct phrase that appears above results in 306 unique links. I have seen this report released by Forrester written about a lot. I guess it has gotten so much traction because it does make for a controversial headline – especially with so many writing positively about social media and its untapped opportunities. Beyond that there is a contradiction here that cannot be ignored. For years Josh Bernoff, Senior V.P. Idea Development at Forrester Research has been touring the country espousing the need for corporations to jump into social media. And his book groundswell is chock full of case studies supporting this position. From groundswell, Jim Cahill, runs a B2B blog for Emerson Process Management and claims three to five contacts a week come from the blog. These contacts represent early leads that can be worth millions of dollars to his salespeople. Taking this one step further Jim could be building his blog readership via links sent out via Facebook and Twitter of his posts. Bernoff’s book also reports how @DellOutlet has tweeted specials on computers for years gaining 1.5 million followers and $7 million direct, “trackable” sales from their Twitter account. But these types of social activities and these specific case studies are not measured by the recent Forrester report. Is Forrester now abandoning its previous recommendations? The report states that, “less than 1% of transactions could be traced back to trackable social linkss.” The key phrase is “trackable touchpoints.” Dave Chaffey of Smart Insights makes good points about how this headline may be misleading. He says it is a very direct response view of effectiveness that does not look at what has been done to develop awareness and brand preference at the top of the purchase funnel. Users of social media may also not necessarily click on the links within social media, but search or go direct to sites when interested in a purchase. Also, for many brands a large portion of search traffic is brand terms indicating that there is existing awareness and preference that has been influenced somewhere else. We also have to remember other research like a recent Nielsen report that states “Word-of-mouth recommendations and reviews, either from someone they know or a stranger’s opinions online, are the most trusted sources of information for buying decisions.” Don’t be fooled by the headline into thinking you should abandon Facebook and Twitter efforts. An integrated campaign of both new and old methods is always wise. To be fair to Forrester and Sucharita Mulpuru, the Forrester Analyst that has been associated with this controversial phrase. It is taken out of context when used as a traffic building headline (see above). And I honestly cannot find evidence on the web that she said it, but I must admit that I have not purchased the $499 report. The direct quote I did find tells a different story. Mulpuru writes, “In spite of changes to the interactive marketing landscape and the growing number of shoppers using mobile and tablet devices to access content, core elements of web marketing continue to be effective.” This quote does not scream abandon Facebook and Twitter. It soberly reminds us not to abandon the less trendy forms of digital marketing that we know are still working. Of course, that doesn’t make as good a headline. Tags: Dell Outlet, Facebook, Forrester Research, groundswell, Keith A Quesenberry, Keith Quesenberry, Marketing Sales, Nielson Report, Social Media, Twitter, Word of Mouth | Permalink. Keith, Thanks for the mention from Groundswell! Quite a bit of B2B selling is not transactional, but the result of a long sales process. This is true in much of our business in process automation. Relationships are built over time from our social presence. It can start with something as simple as a Google search, followed by an email, tweet, or Skype chat, and a connection to a subject matter expert. Traditionally, these communications have been buried in email and phone sound waves. We continue to see the benefit of sharing expertise through the social channels to uncover business opportunities. Hi Jim, Thank you for the comment. This groundswell concept applies today, even as new social media platforms emerge. Yes, relationships are built over time and marketers must have patience. We are seeing this now with the change in Facebook’s Edgerank that is reducing brands organic News Feed reach. Facebook’s answers seems to be – buy ads/buy that exposure. Another option is to increase engagement. Back and forth communication is key to growing any relationship and should pay dividends down the road. Thanks for the mention and posting of my book Keith. 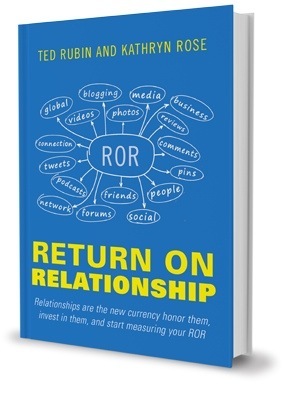 In my humble opinion, simply stated… Return on Relationship (ROR, #RonR), is the value that is accrued by a person or brand due to nurturing a relationship, whereas ROI is simple dollars and cents. ROR is the value (both perceived and real) that will accrue over time through loyalty, recommendations and sharing, and is used to define and educate companies, brands, and people about the importance of creating authentic connection, interaction, and engagement. Relationships are like muscle tissue… the more they are engaged, the stronger and more valuable they become. Social Media drives engagement, engagement drives loyalty/advocacy, and loyalty/advocacy correlates directly to increased sales. Nicely said Ted! 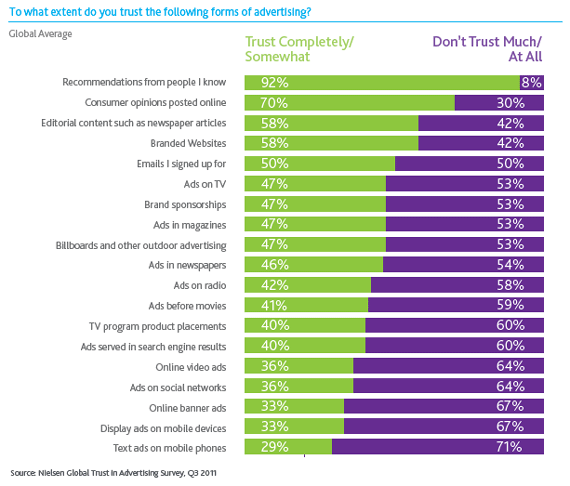 I think there is somewhat a false promise of online being completely measurable. We must not forget the “social” in social media. Relationships don’t always fit into a spreadsheet of debits and credits, but that doesn’t mean they can’t be enormously valuable. Subscribe to receive new posts via email.